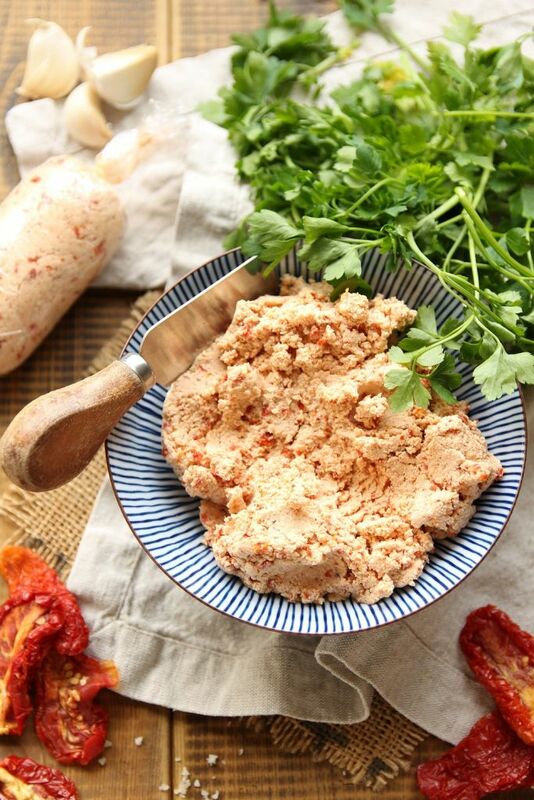 This sun-dried tomato tofu spread has got to be one of my all time favorite staple spreads at home. It tastes a MILLION times better than any store bought, plus you know what ingredients you’re putting inside. 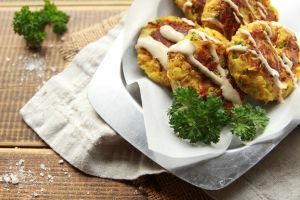 I have given this recipe to many of my friends, and even the biggest omnivores LOVED and approved it! 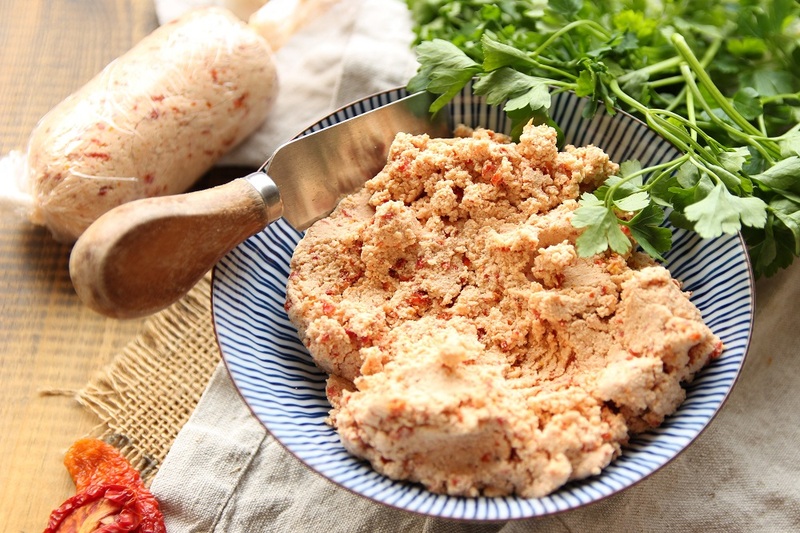 The tofu spread comes together in under 5 minutes, tastes incredible, and requires just a few basic ingredients. It’s rich in protein, perfect to spread on a slice of bread, and can easily be turned into “feta” chunks and served with your favorite pasta. All you’ll need is a food processor to blend the ingredients together and your spread is ready. Then just store it in an airtight container in the fridge, and enjoy throughout the week. So, whether you’re stressed for time, simply don’t want to buy store bought processed spreads, or wish to add more variety to your sandwiches, then I highly recommend you give this tofu spread a try. Peel the garlic cloves and place into a food processor along with the sun-dried tomatoes and blend until it starts to break down. Next, roughly cut the tofu into cubes, add it to the food processor, along with the lemon juice, olive oil, sea salt, black pepper, and nutritional yeast and blend until well combined. Adjust seasoning if needed, then transfer the mixture into a container. Cover the surface with plastic wrap, store in the fridge for up to a week, and enjoy! To make “feta” chunks, crumble the desired amount onto a baking tray lined with baking paper. Pop into a preheated oven at 356 degrees F (180 C) and bake for roughly 5 minutes. Next time try my incredibly delicious Chickpea And Walnut Burgers. ← No Bake Tahini Infused Chocolate Black Sesame Tarts! This spread sounds really amazing Elinor! 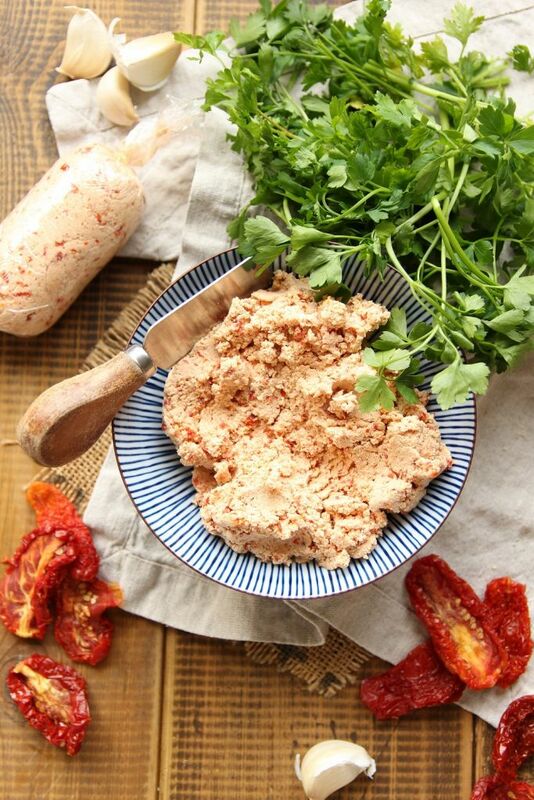 Creamy tofu with garlic and sun-dried tomatoes sounds so delicious! Perfect to spread over a slice of whole grain bread! It´s so perfect, for I was just looking for a tofu spread and I have all ingredients in stock 👍. 1/4 Cup (15 gr) of Nutritional Yeast. Realy ? Isn’t it too much ? Enjoy, this spread is a family favorite at home.